Sports apps drove growth in Google Play and Apple's App Store due to the 2018 FIFA World Cup tournament. Consumers spent a combined $18.5 billion in app and in-app purchases across iOS and Google Play. India has played an important part in the year-over-year growth, by both absolute values and increase in the market share, of app downloads on Google Play Store. The global download from the Play Store and Apple's App Store exceeded 20 billion in the second quarter of 2018 -- up 20 per cent year-over-year. Google was able to widen the gap between itself and iOS by 25 percentage points to 160 percent. 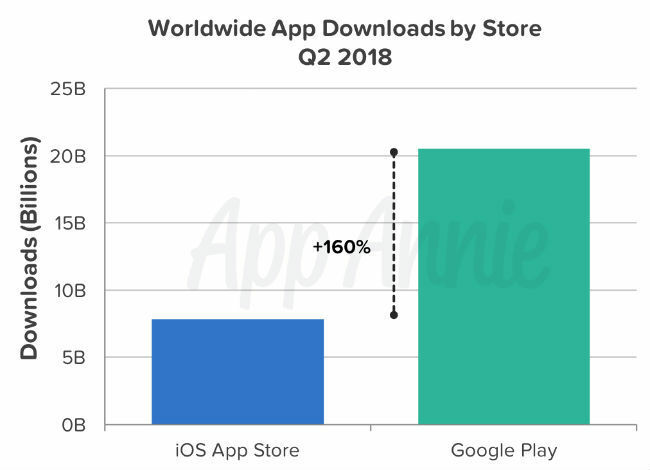 App Store saw most downloads from the US, Russia and Saudi Arabia, US-based app market data and insights company, App Annie, said in a report. According to the data by the company, the second quarter of 2018 set a new record for global app downloads which crossed 28.4 billion mark across iOS and Google Play -- up 15 percent as compared to the same quarter a year ago. “The number is particularly staggering because these are completely new downloads and do not include reinstalls or app updates,” App Annie said. Games, Video Players & Editors, and Sports apps drove growth in Google Play downloads in the quarter. The impact of Sports apps was even more pronounced on iOS as they were the largest driver of growth in global iOS app downloads. This is due to the 2018 FIFA World Cup tournament, which kicked off on June 14. Finance and Travel apps were also pretty popular. 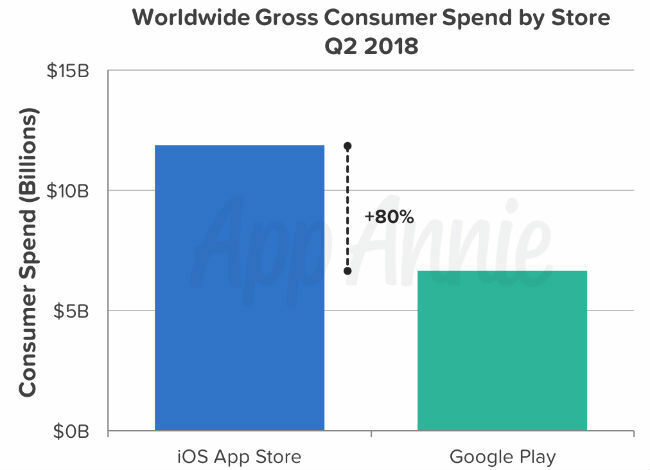 The App Annie report also says that consumers spent more money in apps than any quarter before at $18.5 billion across iOS and Google Play combined, raking a growth rate of over 20 percent year-over-year. Sports apps were the most bought apps which drove a quarter-over-quarter growth of consumer spend on iOS. “Sports apps were both the third largest contributors to absolute growth in consumer spend and saw the third largest growth in market share of consumer spend quarter over quarter in Q2 2018. Entertainment and Productivity apps came in at first and second, respectively, for both quarter-over-quarter iOS growth metrics in the quarter,” the report said. In-app subscriptions for streaming content contributed a lot in the growth in consumer spend for both Sports and Entertainment apps. 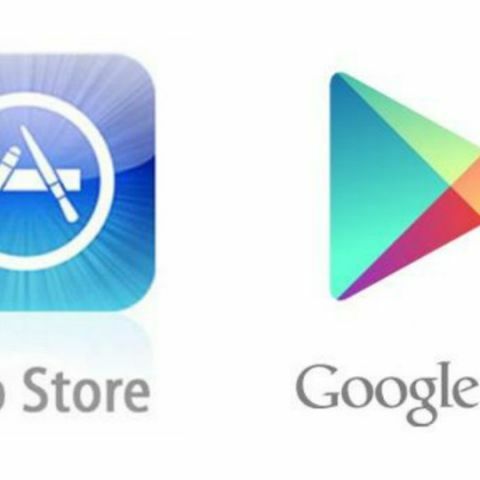 On Google Play, Games, Social and Music & Audio apps saw the largest absolute growth in downloads quarter-over-quarter. Social and Music & Audio also ranked first and second for growth in market share quarter over quarter. anyone know address of google event on sep 15 in india?